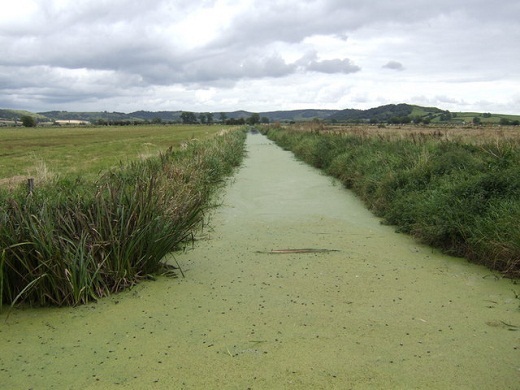 The Somerset Levels and Moors are an internationally environmentally important wetlands habitat situated in the south west of England (UK). Across the area, 25ft above sea level is the maximum height attained. A coastal clay ridge protects the area from sea flooding. The moors usually have peat soil while the Levels are usually marine clay. The Polden Hills run through the middle like a backbone while the northern edge is bounded by the Mendips and, to the west, are the Quantocks. 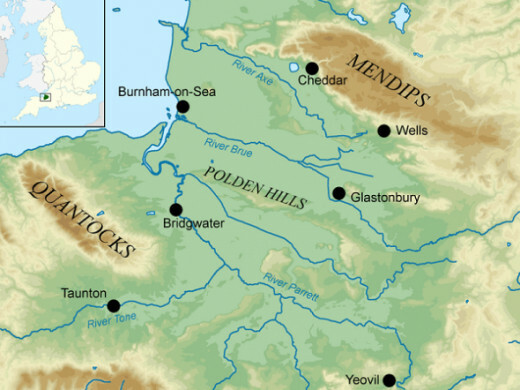 Situated in the county of Somerset to the south west of Bristol and Bath, the Levels and Moorland were once covered by sea which retreated 6000 years ago. Gradually peat and clay were laid down and then man arrived and has had the greatest impact on the landscape since earliest times to the present day. Gradually, the local residents learned to manage the water allowing the Levels to be farmed and the floods controlled - at least some of the time. Nowadays the importance of the wetland habitat is recognised as a precious and important habitat for flora and fauna and local farmers are rewarded for managing the water levels to maintain it. Birds seen at this reserve include curlew, nightingale, little egret, hobby, quail, skylark, green woodpecker, great spotted woodpecker, buzzard, redwing, lapwing, nuthatch and peregrine. In part of this reserve called Swell Wood, there is a heronry which is the largest in this part of the country. Visitors can watch the herons from a public hide. This is the site of the Sweet Track (see above) and it is an important wetland habitat, once an area of peat digging. 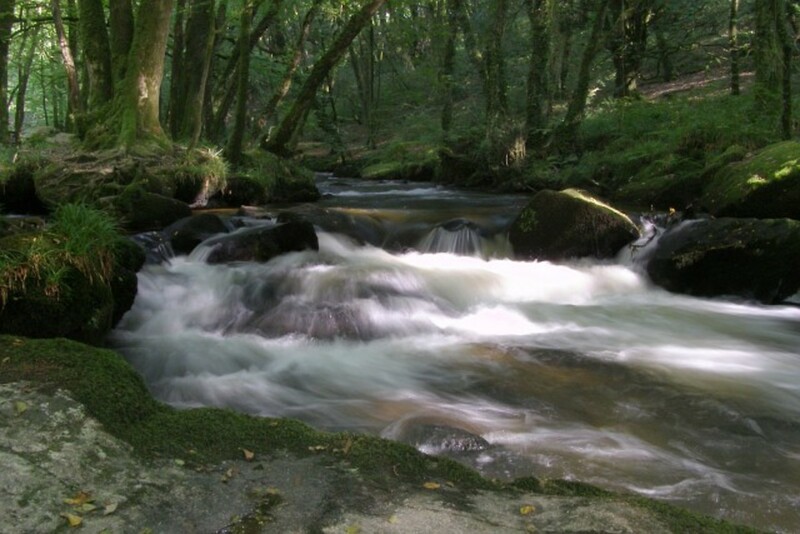 When it was given to English Nature, water levels were controlled to give a good range of habitats. There is open water, reed beds, swamps and hay meadows. This is a good place to see starlings, particularly large flocks weaving their fascinating patterns in the air. Rare breeds of cattle and sheep are kept in the hay meadows to stop them being overrun by scrub so making them home for rare species of flowers and plants including the southern marsh orchid. Part of this reserve was also an area of peat digging, some of it dug right down to the clay. These areas tend to be open water and predominantly reeds and catstail. On English Nature's notification of an SSSI, it says, "Westhay Moor forms part of the nationally important grazing marsh and ditch systems of the Somerset Levels and Moors..." This reserve contains many rare plant species and invertebrates. Thirteen species that appear on the endangered list in the Red Book are found here including lesser silver diving beetle and the rare marsh fly. Around 10,000 years ago, the whole area was once covered by sea. The sea retreated around 3500 years later and the peat and clay was laid down on top of the old seabed. Man has had the greatest impact on the landscape of the Levels. Neolithic man built wooden trackways to travel between the 'islands' interspersing the moors and Levels. The best known of these is the Sweet Track, built about 6000 years ago. These 'islands' are hills and tors ranging from just 30 or 40 feet above the surrounding land to several hundred feet and were the places that people built their villages, safe from the regular flooding of the land. The best known of these is probably Glastonbury Tor. 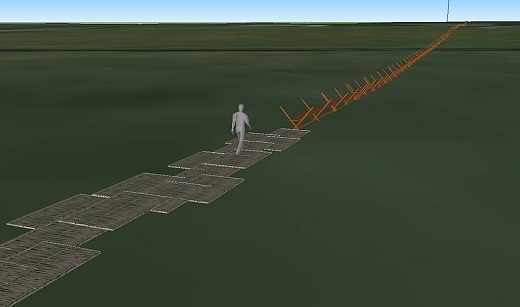 Iron Age villages have been excavated near Meare and Glastonbury. The villages at Mere date from Neolithic time, apparently contemporaneous with the trackways, through the Bronze Age and into the Iron Age. The latter was built on higher ground than the earlier settlements. Finds include pottery and combs. Glastonbury Lake Village was occupied for hundreds of years and its remains have been well preserved in the peat. There have been a wide range of finds including bronze and glass, enamelling, pottery, dugout canoes and wicker hurdles. You can learn more about prehistoric man at the Peat Moors Centre to the west of Glastonbury. Here you can see reconstructed roundhouses, modeled on those at the Lake Village, and there is living history to illustrate how these people lived. The Romans farmed in the Axe Valley but it was the monasteries that had the greatest impact. The islands (hills and tors) were chosen as sites for Saxon abbeys and monasteries attracted by the fertile land and rich grazing. This continued during the Middle Ages with abbeys like Glastonbury flourishing as they improved drainage on their lands and harnessed the power of rivers to drive mill wheels. Photographs show life on the Somerset Levels with a written commentary. As in the New Forest, local people had Common rights on the moors and Levels. After the Dissolution of the Monasteries, these were threatened which, of course, met considerable opposition. Historically, the water was managed using small fields and ditches called rhines or rhynes (pronounced reens). A balance was needed between ditches and fields; too many ditches and valuable agricultural land was wasted while big fields would take too long for floodwater to drain away. Now the rivers run in embankments and water is pumped into them to drain floods away more quickly. Today water management and flood control is managed by a partnership between the government's Environmental Agency, who own the pumps, and local landowners and tenant farmers sitting on Internal Drainage Boards, who monitor and manage water levels. Farmers are now paid to carry out a system of sustainable farming to reduce the shrinkage of peat by having too much water removed, particularly relevant where crops are grown. 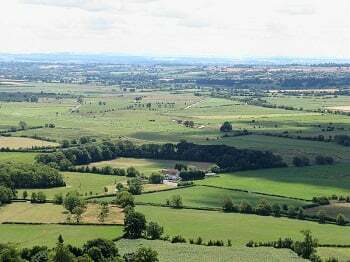 There are also grants for those who plant cider apple orchards, grow willows and other landscape enhancing schemes aimed at preserving the Levels and moors as a wildlife habitat. This is of supreme importance. It is one of the few areas in England where otters live. It is rich in fish, insects like dragonflies, butterflies, water beetles, amongst others, and of international importance for migrating birds. Here, birdwatchers may see the sedge warbler, whimbrel, black-tailed godwit, lapwing and curlew. They can also see birds like widgeon, teal, thrushes, merlin and peregrine falcons that overwinter here. The Levels and moors are important for their flora and fauna and include many that are rare or endangered elsewhere. 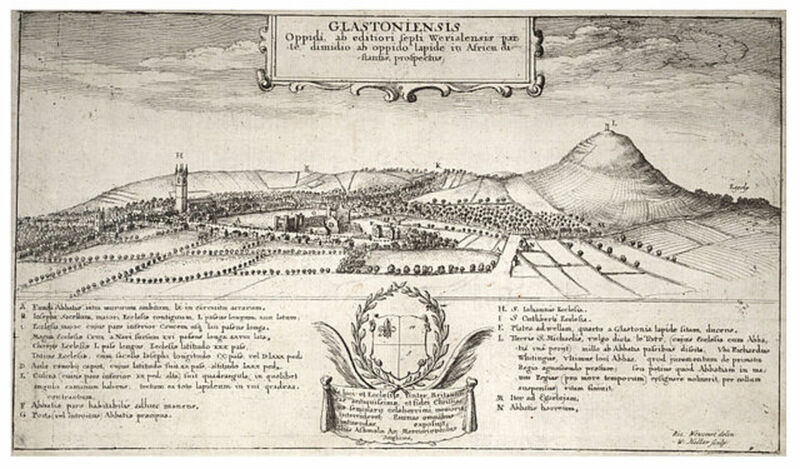 Glastonbury Somerset where Myth and Magic meet. Have you a favourite place that is important to conservation and the environment? I'm reading this lens in Somerset, Pennsylvania right now! Had a holiday in Somerset many moons ago - enjoyed it. Visiting your lens reminded me of one of the best holidays I have ever had. Thank you. Your lenses are always so packed with interesting information, I could bite on them and they would make a crunching sound. Just gorgeous! I always enjoy your lenses. Welcome to All Things Travel. Great Lens 5* and welcome to Travelmania group!